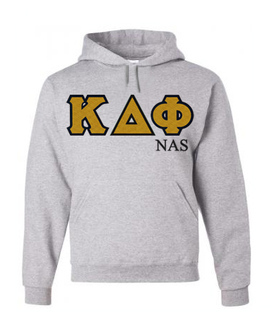 Even if all you have is a $20 bill at the present moment, you can find practical paraphernalia in this Greek Gear category. 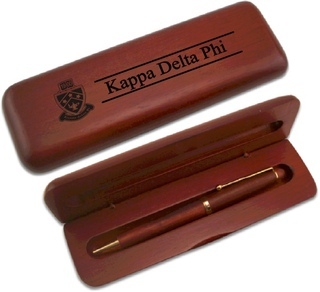 Some Kappa Delta Phi Sale Items cost as little as $5 or $10. It's important that you jump on these prices while they last. Some are pretty incredible, like the Lettered Tee for just $9.95. A quality white tee for under $10 is definitely a deal, but you have to grab it while it's hot. 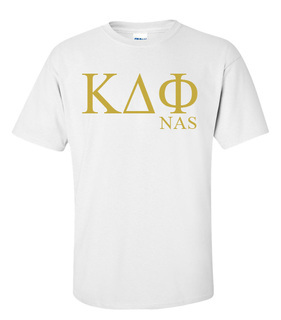 For a few extra dollars you can also pick this t-shirt up in black or gold or add NAS for National Affiliated Sorority members. 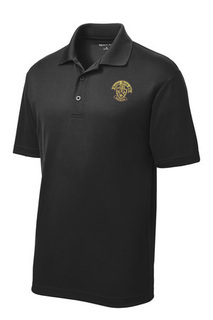 Chapters often pick a special gift of paraphernalia for each new group of recruits. 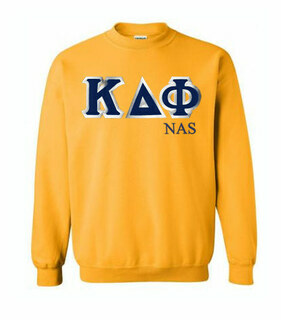 The Custom Twill Crewneck is a common choice for fall initiates. 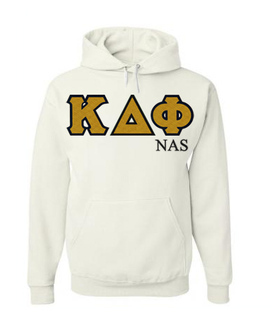 For about $30, you get a white sweatshirt with a choice of letter color and satin border. 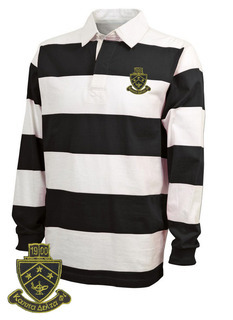 For an added fee you can add a crest to appear on the left or right sleeve. 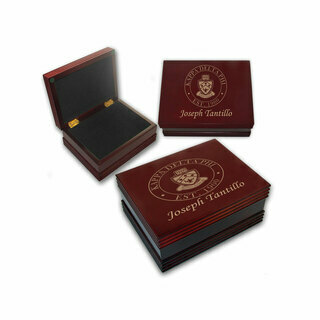 Save a bundle on Kappa Delta Phi para for the year ahead by ordering Sale Items from this section. 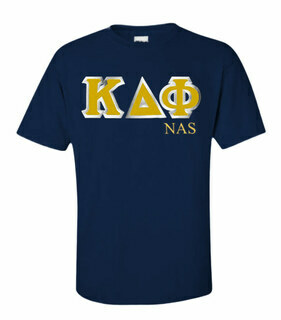 Join our email list as well to be the first to get updates on deals and closeouts at GreekGear.com ! Kappa Delta Phi Sale ItemsThe Greatest Selection. Period.